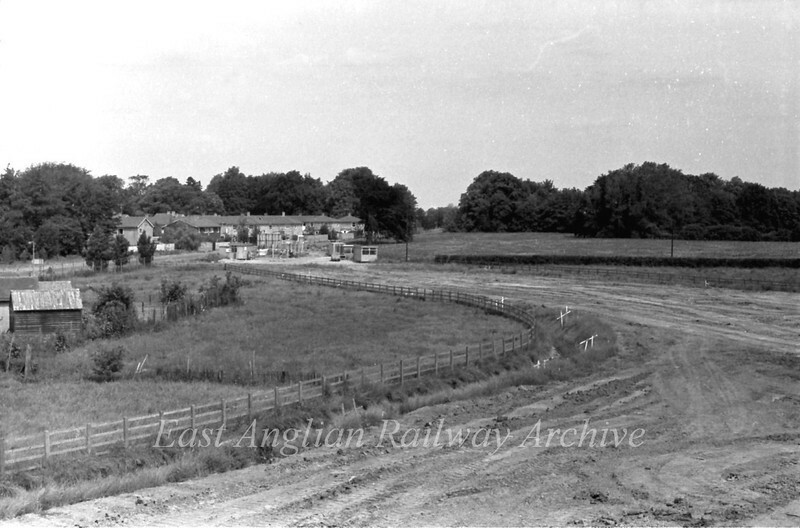 These shots are of Junction 32 of the A14 at Histon in Cambridgeshire before,during and after construction of the A45 Cambridge Northern Bypass, now the A14. Work started in 1976 and the road was opened on 21st December 1978. The pictures are arranged in chronological order. What was once a fairly rural location is now a notoriously busy and congested trunk road. Looking back at these shots 35 years ago, what stands out is the lack of a health and safety regime at the time. No construction staff appear to be wearing hard hats or hi vis jackets. There was also no objection to me clambering up ladders and piles of sand to get these photos. How times have changed.